Each year in the UK around 40-50 children drown in a number of different circumstances. This could be in any situation and virtually anywhere, from a tumultuous ocean to a few inches of water in a bucket at home, and can take mere minutes to become fatal. Water safety for kids should be taught as early as possible. Kids over the age of four should be able to begin swimming lessons, although there are benefits to introducing children to water from as little as a year old. Try not to expose children under the age of five to any water colder than 28 degrees, with usually around 30 for babies. Body temperatures drop faster in the water than on land so if they complain of leg cramps or appear to be shivering take them out immediately. It can take as little as two centimetres of water for a child to suffer from secondary drowning. A small amount of water prevents oxygen from flowing through the bloodstream properly, and fatalities may occur anywhere between one and seventy two hours after inhalation. Look out for the symptoms, including troubled breathing, changes in behaviour, chest pains, fatigue and coughing. With children under the age of five, almost anything can present a drowning risk – even more so for babies under a year old, who can drown in just a few centimetres of water. Constant supervision is the ideal solution to the problem but, as any parent will tell you, is simply not possible at all times. So the next best thing is to keep your house free of any and all potential risks, including mop buckets with any water left in them and inflatable paddling pools. Children should never be left unattended when in the bathroom, especially when in the bath, although even an unlocked toilet seat could present enough danger. The danger becomes far greater when the home has a swimming pool. Although there is no substitute for supervision, there are several excellent security measures you can put in place to make your swimming pool less of a death trap. Swimming pool safety covers, especially the automatic kind which have pressure sensors designed to stop the closing process upon coming into contact with something, are the best method of protection although you need to ensure that it is a genuine safety cover capable of taking the weight of an adult. Winter and solar pool covers are not the same as safety covers. Hot Tubs – Children shouldn’t use hot tubs AT ALL as they could overheat and easily drown. Under the age of five, kids have thin skin which burns with little encouragement, which is why we usually test bath water with an elbow. The second line of defence is with a pool fence, which in many countries is a legal requirement – not just for the family in that house but for neighbouring children and animals. 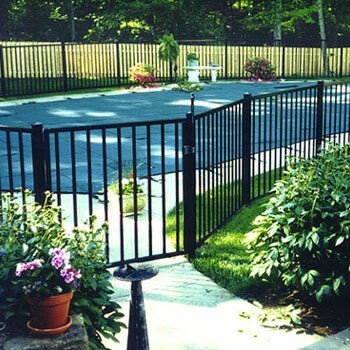 Fences which separate the pool from the outside of the garden are not nearly as effective as those which cover all four sides of the pool. The fencing should be at least four feet high, you should be able to see through it, the latch should be at least three feet from the floor, and the door should be self-closing and self-latching. You can also get covers for the pool’s drains which prevent the suction from trapping anyone under water, and alarms which will alert you if any motion is sensed underneath the water line. Never go swimming before, during or after a thunderstorm. Water conducts electricity – salt water even more so – which means being the highest object in a body of water makes you the prime target for lightning strikes. Remember that the vast majority of children who drown in back garden pools had been out of sight for less than five minutes. 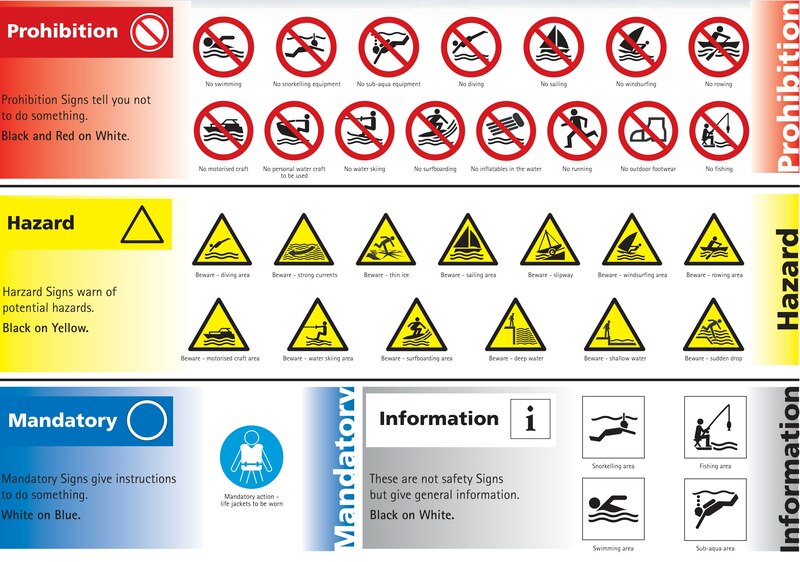 Hygiene is just as important as safety when using a swimming pool. Young children, pregnant women and those with poorly functioning immune systems are most likely to be affected. To avoid illness, don’t allow anyone who has had diarrhoea in the last eek into the pool, and children should be taken to the toilet regularly and washing their hands. If the child is still young enough to use a nappy it should be a waterproof one, and they should be change far away from the pool – the parasite cryptosporidium is spread through water by leaking nappies and can give horrible symptoms to anyone who catches it. After swimming, clean the child’s hair and ears very carefully to avoid swimmer’s ear and other bacterial infections. On hot days, it can be difficult to recognise the signs of dehydration and sun stroke. Reapply sun screen regularly, as water effectively magnifies the UV rays, and wear sunglasses and hats when possible. It’s also important to continually drink water to stay hydrated, as it can be hard to tell how much you have been sweating. Nausea, light-headedness and dizziness are all common symptoms of dehydration. On hot days, there is little more pleasant than splashing around in a local river with friends. Most of the time, this is a perfectly safe environment to stay cool – you just need to be aware, and make children aware, of the potential dangers. They may be a lot colder than expected, have difficult sides to get in and out of the water, and there may even be strong currents which aren’t apparent from the bank. There is also the chance that weeds, grass and dumped rubbish could be hiding beneath the water, potentially entangling swimmers. Encourage children to always wear foot protection when swimming outdoors, especially where the bottom of the river can’t be seen. They should be aware of the fact that there are no lifeguards there, and taught the correct procedure for helping a friend who’s drowning. It’s also important that children know not to swim in boating areas, not to dive into water where they aren’t completely sure of the depth. Swimming in the sea can often be a relatively safe way to get exercise in the water, but only when there is a lifeguard around – that is the most important lesson you can impart to children about swimming in the sea. Teach children to only swim where a lifeguard can see them, to stay away from any piers or buildings that strong currents could push them into, and never stand in the water with their back to the waves. Anyone around the ocean should be aware of what drowning looks like. Media representations have taught us that when people drown, they scream and flail their arms around, but this usually isn’t the case. Drowning tends to be silent, as the victim is unable to scream while trying to breath, and they will usually float on top of the water with their arms outstretched straight. This is called the “instinctive drowning response” and can appear to be quite calm, but leads to submergence below the water. Impart the message to kids that if they are in trouble, they should tread water and try to wave for help. Lying on your back can help to keep your face out of water. With some time and patience, you can explain water safety to your kids in a way they’ll understand, and will keep them safe around any bodies of water in the future.